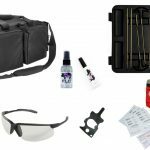 To help any shooter progress on their Dry Fire journey without breaking the bank we have prepared this kit of the CORE dry fire essentials that will get you started. SKU: dry-fire-kit Categories: Ammo Accessories, Dry Fire, Firearm Accessories, Product Bundles Tags: Barrel, Caliber, dry fire, dryfire, inert, insert, safety, Tool Brands: BarrelBlok, ConcealedCarry.com, L.A.S.R. Dry Fire Practice is a critical element of any shooter's efforts to improve skill and prepare for a life-threatening encounter or competitive shooting match. To help any shooter progress on that journey without breaking the bank we have prepared this kit of the CORE dry fire essentials that will get you started. BarrelBlok™ is a tool to facilitate BETTER and SAFER dry fire practice. It includes 2 components. First, the BarrelBlok itself which is inserted through the ejection port into the chamber. 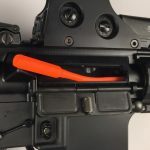 It renders the gun inert and incapable of firing while also extending through the end of the barrel to clearly communicate to the shooter and others nearby that the gun is cleared and safe. In addition, BarrelBlok is shipped with 3 Mag Bloks which are inserted into your magazine the same way you would load live ammo and prevent slide lock so as to allow the shooter to train reloads and malfunction clearing without the training scar of having to release the slide forward as one would normally have to do in dry fire. The BarrelBlok is the industry's standard for safe dry fire, requires no disassembly or tools, works with ANY firearm and allows the firearm to be holstered and fully manipulated. BarrelBlok retails for $12.99 plus shipping and right now on Amazon they are $14.99. You can learn more here. Our Laser Training Cartridges are similar to other competing products you have seen in the marketplace but new to our company. Just insert (caliber specific) into your firearm's chamber and each time you press the trigger and the firing pin comes forward the insert will project a red laser dot onto the target. This elevates dry fire practice by giving you feedback (your accuracy and point of impact) so you can truly measure how you are doing. Our Laser Training Cartridges retail at $59.99. This book is a must-read for any shooter who wants to use dry fire tools and strategies to up their shooting game. On the surface, dry fire seems fairly simple and straightforward but this book will help you do the right things in the right way to ensure maximum impact during your dry fire sessions. Few tools are as valuable in Dry Fire as LASRx. This web-based software program can be used from any internet connected device including your phone, tablet, or computer. Just launch the program and your phone will turn into a training companion and coach. 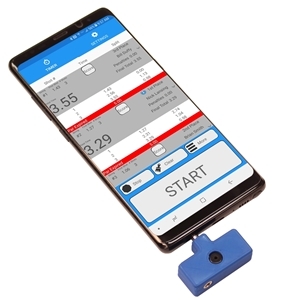 The camera on your device or computer will “see” the red dots from your laser trainer (included in this kit) and will record your hits and misses. 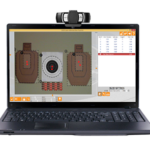 You can run specific drills, measure your shot times, draw times, and reload times. Compete with friends, save your data, and see how you stack up against other shooters in the LASR Community. Be the first to review “Dry Fire Kit Caliber Specific” Click here to cancel reply.